The Collingwood Society has a limited number of signed copies of the 2015 (2nd) edition of this definitive modern work on the Admiral. It is highly recommended for those who wish to learn more about the Admiral and his lifetime’s devotion to the Royal Navy. Max Adams is, of course, no stranger to the Collingwood Society and has twice delivered our prestigious annual Collingwood Lecture. The RRP of the book is £25, but we are able to offer them at just £17.50*, post and packing included. Please contact the Society Treasurer at ommanney@collingwoodsociety.co.uk for information on ordering and payment methods. Dr Tony Barrow is a regular speaker at the Society and indeed was a founder member and its first Secretary. 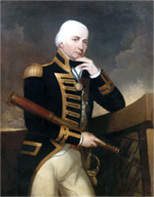 He is also an acknowledged author, with a definite focus on local maritime matters, covering whaling, the Press Gang and of course our man, Admiral Lord Cuthbert Collingwood. We are also lucky to have a number of copies of one of Tony’s books ‘Collingwood’s Northumbrians’. 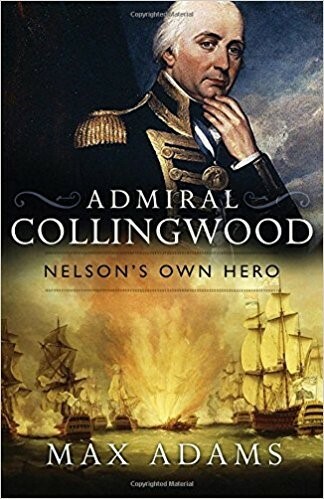 Using primary sources, contemporary accounts, correspondence and family papers, the book explores the socio-cultural context of Admiral Collingwood’s career and those of the officers he commanded. The role of provincial patronage and family connections are examined alongside the rewards, and hazards, of the naval life in Georgian times. 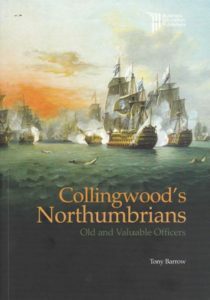 Collingwood’s reputation for recruiting young officers from his native Northumberland is clear from this detailed and informative text. This highly recommended book is available at £7.50*, post and packing included. Please contact the Society Treasurer at ommanney@collingwoodsociety.co.uk for information on ordering and payment methods.